As you can see, these particular notebooks got some good use. Penwell Traveler in the background! A representative of the Kunisawa Stationery Company reached out to me a couple months ago and offered to send me some of their recently released notebooks to review - I didn’t realize that it would basically be a crate! I have three of each of their various products, and as I work my way through the different sizes and rulings, I’ll post my thoughts on the notebooks and pads. First up are the “Find Note Hard” and “Find Note Smart” - the first is a fairly standard A5 notebook, and the second is a tall and slim hardback pocket notebook, which is easily my favorite of the two. But first some information on the company itself. One thing Kunisawa nailed was the logo and the texture of the covers. The Smart Note (top) feels like an old-school pocket ledger, and the A5 Hard notebook features a sheeny vinyl that also feels nice in the hand. The “i do not seek, i find” quote appears on the inside of both notebooks. With the heavy focus on business users in the marketing copy, one could be forgiven for thinking this is a “Japanese Moleskine,” but it’s not. The paper and overall quality are much better, and serious effort clearly went into designing an attractive notebook, from the covers to the binding to the copper gilt edging on the paper. So What About the Paper? After having used both of these Kunisawa notebooks at work for the better part of a month, here’s my verdict: the paper on the larger A5 notebook is ok, and the paper in the “Find Note Smart” pocket notebook is exceptional. Others reviewing the same Kunisawa notebooks have not had any success at all with fountain pens, so I suspect there may be batch variations in the paper, much like what happened with the recently released “Elements” Notebooks. (See Susan’s review of the A5 and Jeff’s review of the Smart Note over at the Pen Addict.) Their disappointment is not unreasonable - the company expressly advertises the A5 Find Note Hard as “an ideas notebook specifically designed for fountain pens and carefully considered writing.” While the paper in my A5 isn’t terrible at all - I actually found it similar to the paper in Leuchtturm notebooks and the Studio Neat Panobook - it’s still not ideal for fountain pens. There is feathering and bleed through with wetter fountain pens and rollerballs, though I found that the paper performs much better with finer nibs and a light hand. 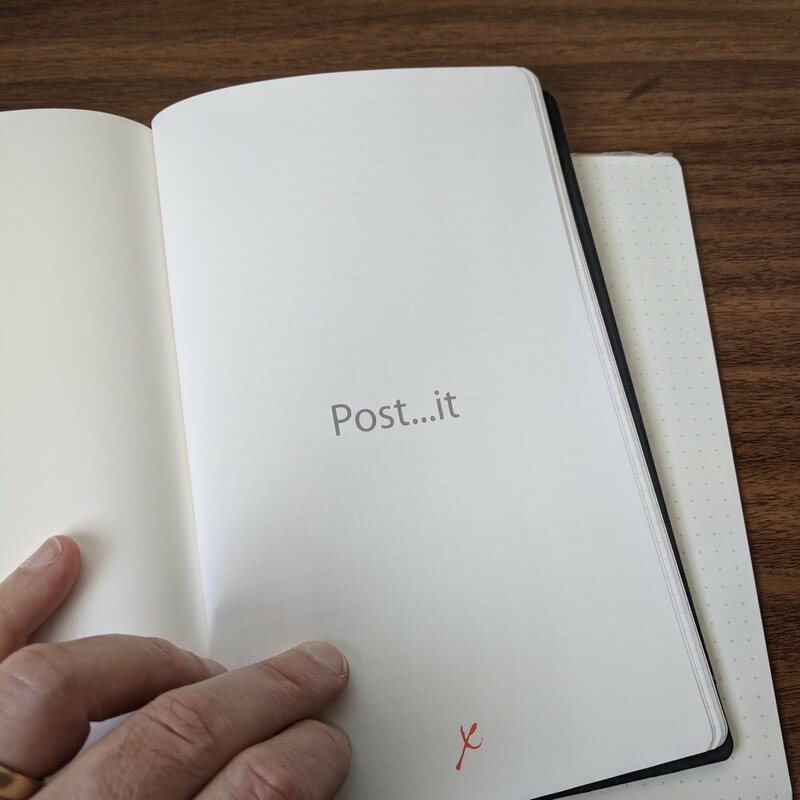 The paper is far superior to Moleskine for fountain pen use, and I suspect most, if not all, typical business users wouldn’t notice any issues and would love the paper in this notebook. Both Iroshizuku Yama-Budo and Asa-Gao feathered slightly on the “Foolscap” paper in the A5, and had pinpoint bleedthrough on the reverse. While these are both wet inks, they’re not regarded as high-maintenance. Kunisawa describes the paper used in the “Find” notebooks as “Foolscap,” which they characterize as “created specifically for writing,” and “extraordinarily high quality.” While it’s good paper, I had always understood “foolscap” - at least the way it’s used in literature - to be a size, not a type of paper (which was confirmed by my Oxford English Dictionary), generally used by students, clerks, and attorneys for drafting. Perhaps something got lost in translation…. A sample of Yama-Budo and a very wet mix of Waterman blue/purple (“Blurple”) on the Find Smart pocket notebook. You can tell from the texture that this is likely different paper. On the other hand, the paper in the Find Smart Note held up to any fountain pen I could throw at it without any hint of feathering or bleedthrough. I also love the format: 40 double-sided pages with gild edging, hardbound in a slim format that’s easy to carry in a coat pocket and use while standing up. The dimensions are slightly shorter and wider than the new Field Notes “End Papers” notebooks. I wish notebooks like this were easily available, and I can see myself using these up fairly quickly, provided the paper quality is consistent. No bleedthrough whatsoever on my Find Smart Note. Kunisawa notebooks are not yet widely available here in the U.S., so the easiest way to purchase is probably to buy directly from the company itself via their webstore. (Overseas orders must be placed by e-mail, with contact details on the site.) The A5 Find Note Hard retails for approximately $26, and the Find Smart Note for just under $9, subject to exchange rate fluctuations. These notebooks are not inexpensive, but they’re also within what I’d consider to be the “range of reasonableness,” to borrow some lawyer-speak. If you’re a pocket notebook aficionado, and the idea of a hardback pocket notebook you can slip into a jacket or suit pocket appeals to you, definitely check out the Find Smart Note. I was less enamored of the Find Note hardback A5 - I expected more from the paper, given the description - but if you like the look it’s certainly not a bad notebook. I look forward to testing out the rest of the notebooks and pads sent to me to see if there are additional variations in paper quality among the Kunisawa line. Stay tuned for more testing! Disclaimer: Kunisawa sent me the notebooks featured in this review free of charge, for review purposes. Many thanks to Kunisawa for making this review possible! At this year's Atlanta Pen Show (way back in April, yes I know) I had the opportunity to check out Italian brand Stifflexible's updated line of notebooks. 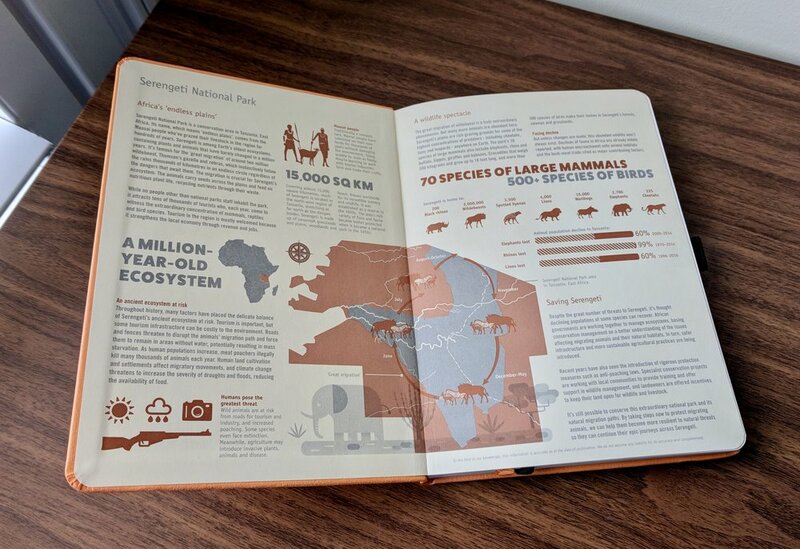 The primary selling point of Stifflexible Notebooks is the cover: it's a hardcover notebook that "flexes," making it easier to cram into an overstuffed briefcase or backpack without permanently damaging the cover. Not a major selling point for everybody, but I can see where it could come in handy for certain people. Stifflexible notebooks are made by the same company as Giuliano Mazzuoli pens, and are distributed by Luxury Brands USA, who regularly attend pen shows with a full display of these notebooks in tow. These are very nice notebooks with good paper; my one quibble being the lack of all-graph or all-blank options. The flexible cover isn't something that I necessarily need, but I can see how it would come in handy for students or road warriors who have to lug around an overstuffed bag. The cover art on these books is extremely well done, and I love the gold Paris Metro Map cover that I chose. A wide range of other designs are also available, as you can see from the Luxury Brands pen show display below. I may very well pick up a couple more this coming weekend in D.C.! Distributor Luxury Brands brings a wide array of Stifflexible notebooks to pen shows. Anderson Pens carries the full line of Stifflexible notebooks in a range of sizes from extra large all the way to small/pocket. (The notebook pictured here is the "medium" size, which is A5-ish and measures 5" x 8 1/4".) Pricing is $29 for the extra large, $18 for the large, $16.50 for the medium, and $11.50 for the small, all of which is a fairly standard price point for notebooks of this quality. Disclaimer: I received the notebook featured in this review from Luxury Brands USA, the Stifflexible Distributor, free of charge for review purposes. I was not otherwise compensated for this review. I reviewed the initial Dingbats* notebook back in 2016, right after they first came onto the market. I was generally pretty impressed with the overall make of these notebooks, including the paper. Since then, Dingbats* has introduced new cover styles and seems to have grown their business nicely. Apparently, Dingbats* had received some feedback about the paper in the initial notebooks, which was somewhat absorbent and could result in some bleedthrough and feathering with especially wet fountain pen nibs and ink. In response, they released the new "Earth Collection," which includes 100gsm coated cream paper that is more fountain pen friendly. Personally, I found the original Dingbats* paper to work more than adequately with the pens and inks that I tend to use day-to-day, but it's always good to see companies respond to what the market demands. The new 100gsm coated cream paper is super nice, and Dingbats* has included marked tabs on the edges of the page to allow you to code/organize different sections of your notebook. And the new Dingbats* paper is, indeed, great with fountain pens. It's coated to better handle fountain pen ink, and feels like Rhodia or Clairefontaine. The Earth notebooks retain most of the useful features of the other versions (a pen loop, dual ribbon bookmarks, lay-flat design, rear pocket, etc.) BUT the pages are no longer perforated - a touch disappointing but perhaps necessary due to the thicker paper? A writing sample on Dingbats* new coated paper, in cream with dot grid. No noticeable feathering or bleed whatsoever. I'm almost finished with the Midori MD A5 that I've been using as my "work notebook"/hybrid bullet journal, and I have this Earth notebook lined up as the replacement. Note that the Dingbats* notebooks are ever-so-slightly larger than standard A5 notebooks, so if you are purchasing to fit a specific notebook cover, be aware that it may not work. For the record, I managed to fit the Earth notebook into my Nock Co. A5 Seed cover, but it was a tight squeeze. Many thanks to Dingbats* for sending me this notebook for review! Dingbats* notebooks may be purchased directly from the Company's online store, and the Earth series starts at $22.95 with free shipping on orders over $35. Disclaimer: Dingbats* provided me with this notebook free of charge for review purposes. This post contains affiliate links.